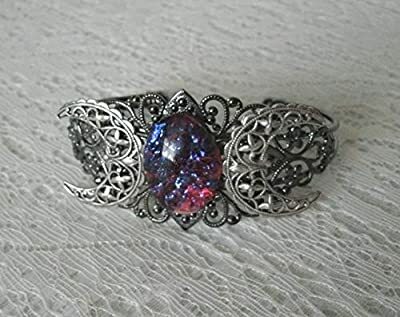 Whether its for yourself or a gift for a loved one, the Fire Opal Triple Moon Cuff Wiccan Bracelet is a wonderful piece of Wiccan jewelry. Beautifully handmade and with colors that will catch the eye as well as the light! 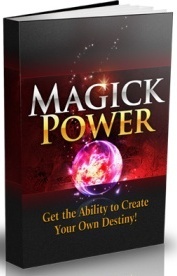 Its a great pagan wicca piece! 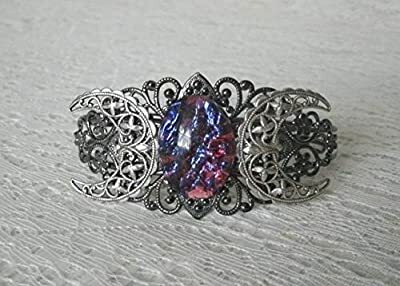 This beautiful silver plated filigree cuff bracelet has a silver plated triple moon design and a large glass dragon's breath fire opal setting. 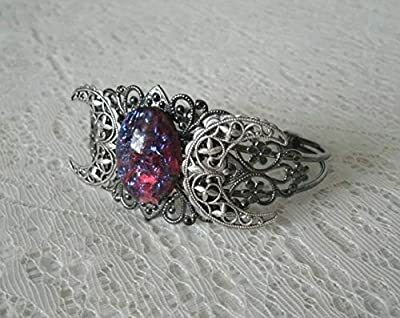 This Fire Ooal Triple Moon Cuff Wiccan braceley is also Adjustable.